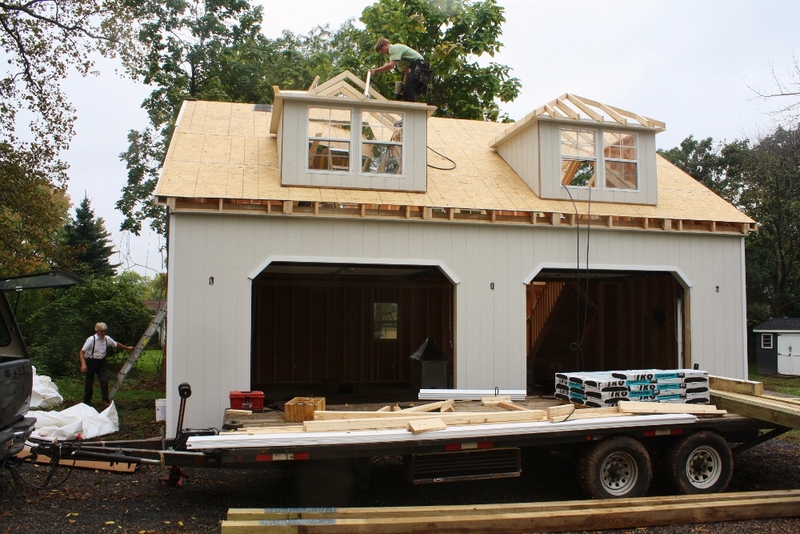 The first floor of our carriage house, separated in two pieces, on the back of a big rig (my jaw dropped when I saw this). 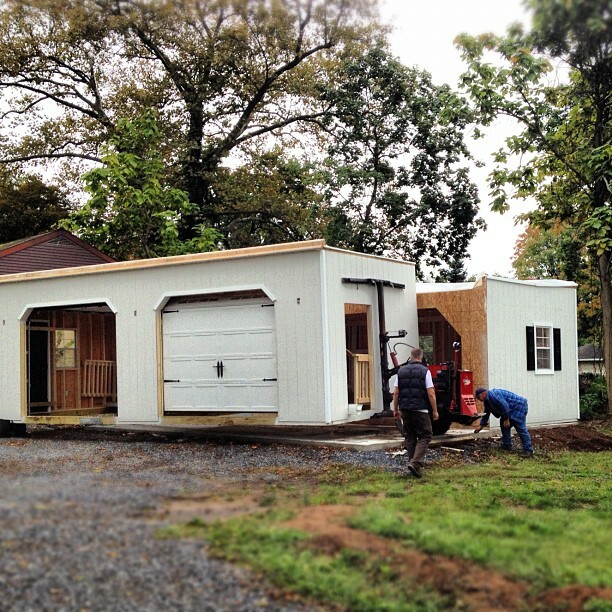 Each piece was wheeled in place onto our concrete foundation (!!!). One half down, another to go. Now, they're lining the two parts together. The mule looks like this up close (the entire machine was specifically designed for these types of Amish builds). It was very fun to watch. 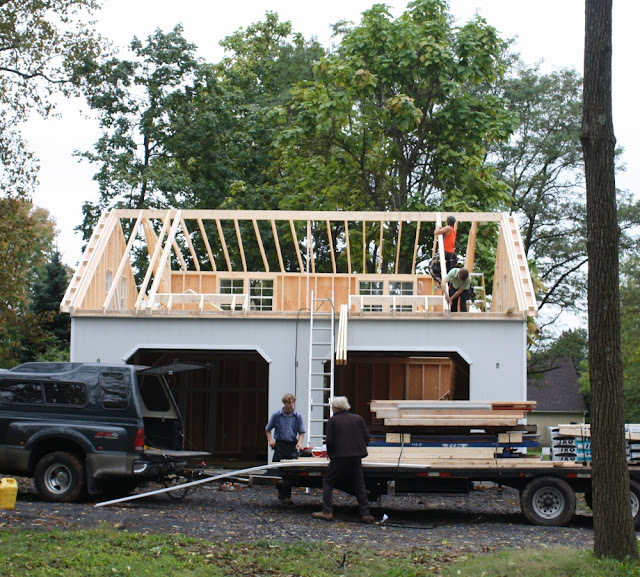 7:30am - a team of four Amish men arrive to build the second story. Within a couple of hours, we had a roofline. And, by the end of the day, there was tar paper on the roof. The guys worked all day, installing the roof shingles, hanging gutters, finishing electrical work, etc. It was truly amazing to watch it all come together. 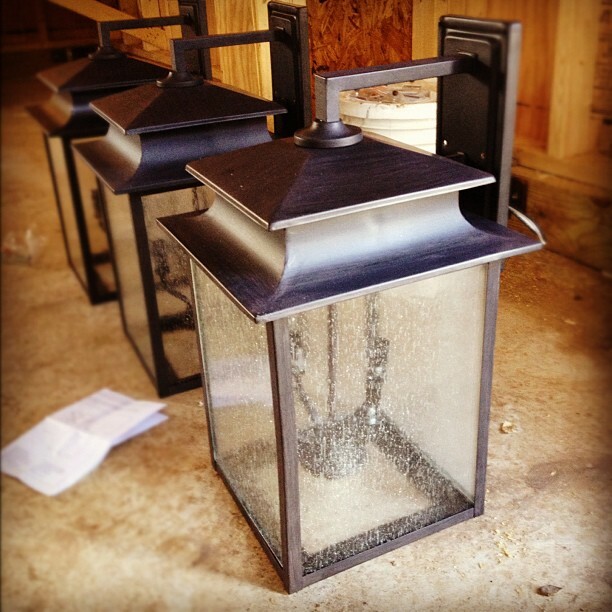 Our new lanterns, ready to be hung. These fixtures are made by World Imports (the Sutton Collection) and we ordered the largest size possible, which measured 21.5" high. *We still haven't selected a light fixture over the side door. We'll find something soon, I hope. 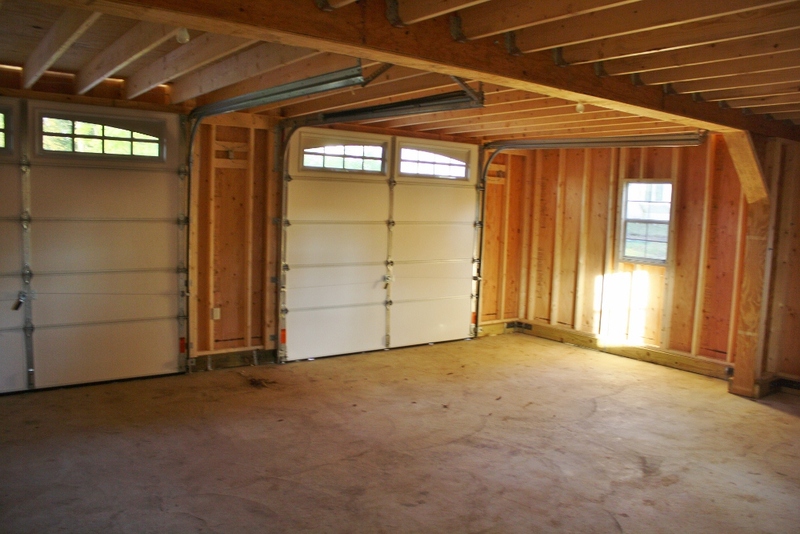 We chose insulated carriage-style garage doors with an extra foot of height (just in case we ever want to park a monster truck inside). 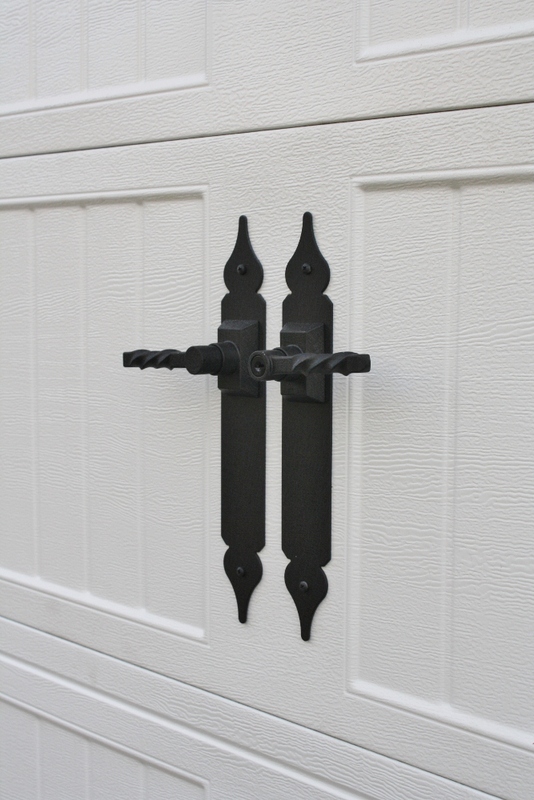 The handles are functional and I love the way the hardware looks from the house. 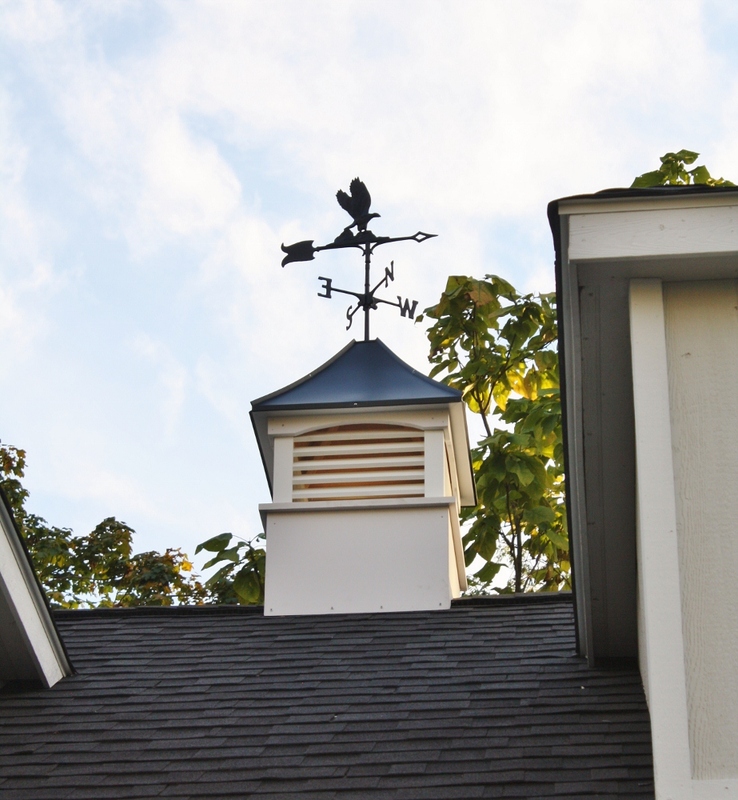 our new cupola, with a cast iron eagle weathervane. The shed dormer allows for SO MUCH head room on the second floor, we had to include it in the design. Since it doesn't totally relate to the architectural style of our home, this dormer faces the backside of the property. So, you can't see it from the house. I like that. 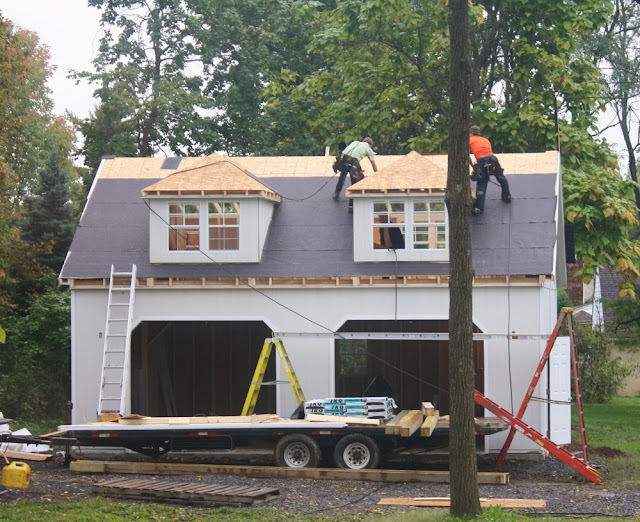 We hired Stoltzfus Structures to build our carriage house, and our entire experience with them was TREMENDOUS. Located in nearby Chester County, Pennsylvania, this family-run Amish builder specializes in pre-fab and custom-designed garages, carriage houses, barns, pool houses, and sheds (they also build cabanas, gazebos, and chicken coops!). I can't say enough about these people. We first met with Jonathan in February. Dave and I were in the "research" phase of this project, and had narrowed it down to a small handful of potential builders. After we toured the facility and experienced the professionalism and warmth of the staff, we immediately knew that we wanted to work with them. Over the next several months, we exchanged a few emails with Jonathan, keeping him updated on our schedule. We never felt pressured. When we finally felt ready to begin the project this summer, we worked with him to customize our design. 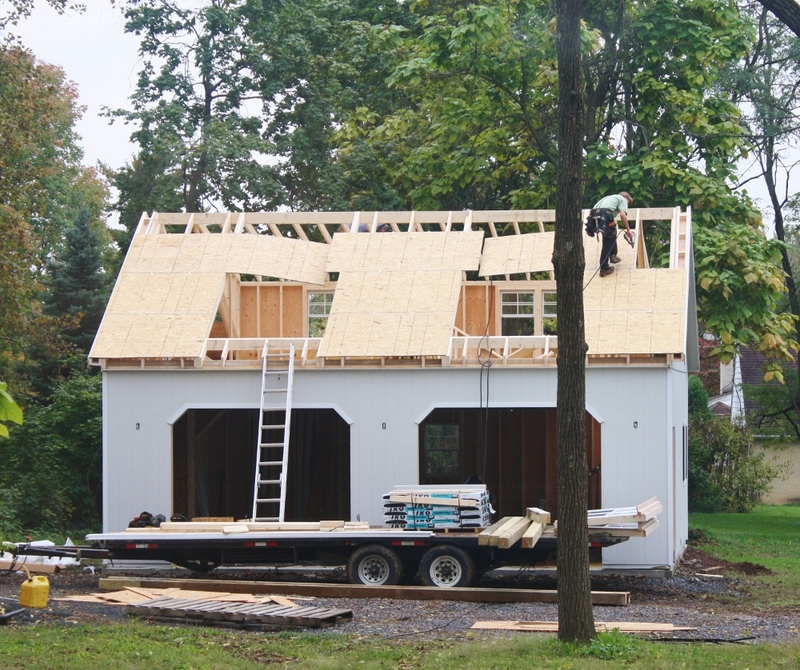 He was so extremely professional, friendly, and easy to work with (even with our last minute changes to the front elevation!). 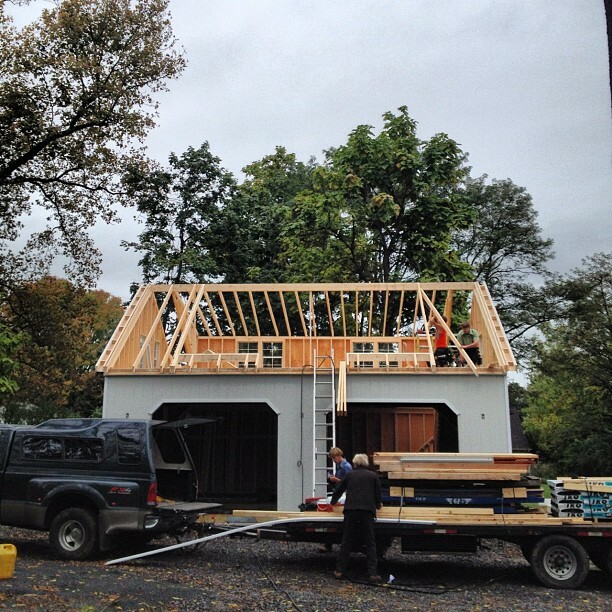 Like I mentioned above, the carpenters at Stoltzfus Structures built half of our building off-site, in their Chester County workshop. 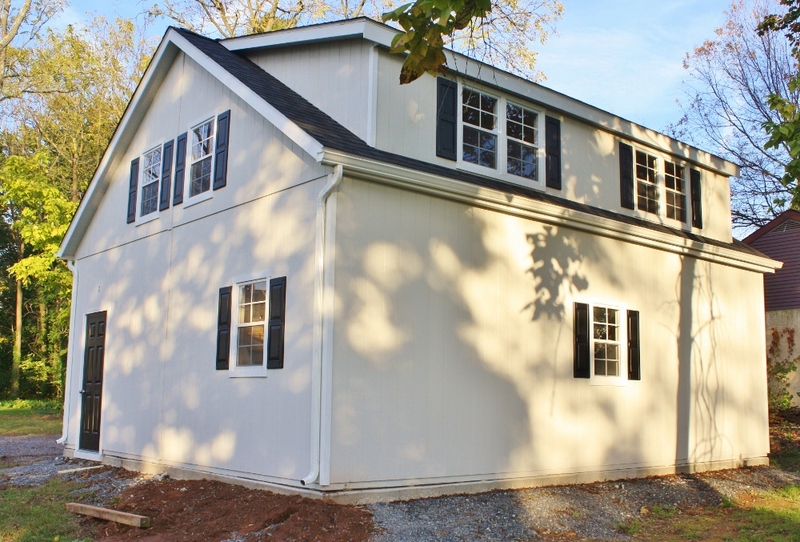 The carriage house was installed in modular units and then the rest of the building was built on site. The crew that showed up to our house was AWESOME. These guys worked from morning til night, they were friendly and courteous (some of the finest young men you'd ever hope to meet). Dave and I are truly thrilled with the end result and hope to work with Stoltzfus Structures on future projects (pool house anyone?!). 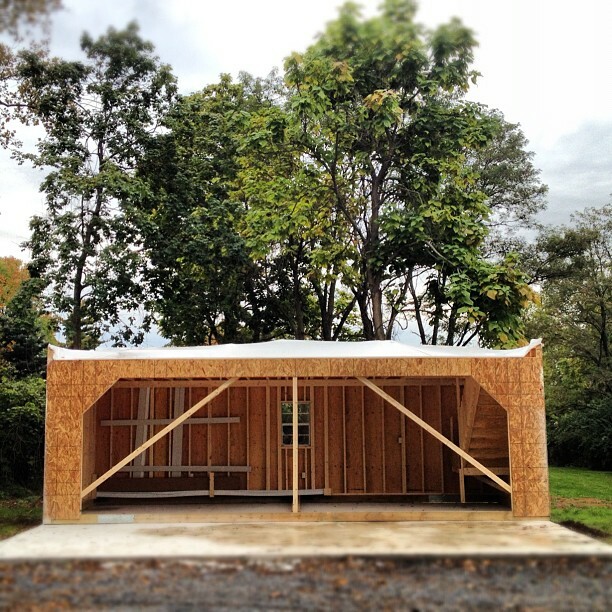 So, our carriage house is complete! What do you guys think? If you have any questions about our experience, please feel free to email me personally or you can leave a comment at the end of this post. Thanks so much for following along with this project, dear readers! 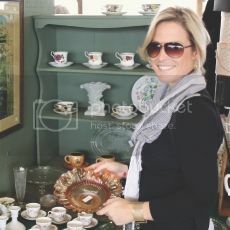 It's been so fun relaying ideas with you and sharing updates on the blog. Now, I look forward to starting our NEXT home project and sharing all of the progress here with you. Wow! Way to get it done! 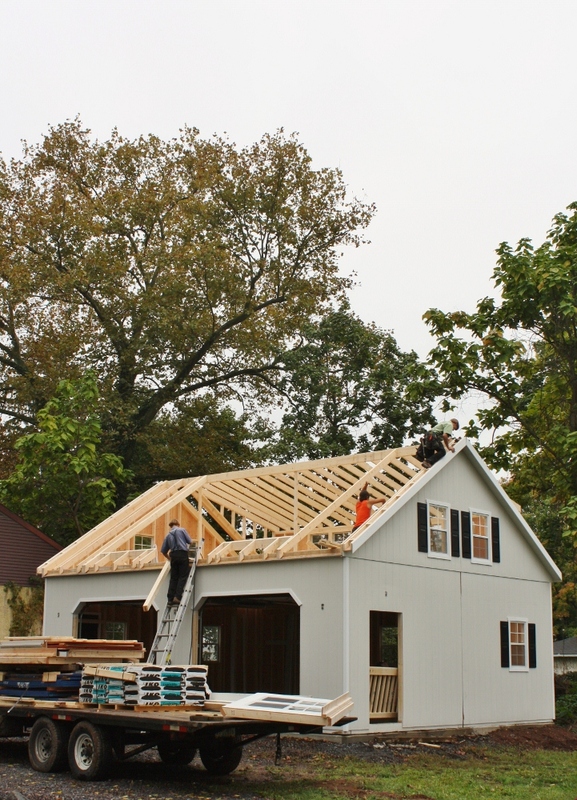 I'm totally impressed by how quickly they worked...and the carriage house looks beautiful. Gorgeous! What an amazing experience. I am most impressed by this project! It's gorgeous and I can't believe that building came together in a matter of days. We built a garage last year at the back of our property and it took far longer, and was not as grand as yours, a very utilitarian one story garage, but built on site. It looks fantastic. That is the same company I bought my garden shed from. Love them. Love it!! I have been stalking your blog for updates, it didn't disappoint! This is so great! Love all your choices - something unusual would be fun over that side door. Congrats! Looks so great, Kelly! I can't believe they built that in 3 days. Amazing. It's adorable! And so many possibilities for the 2nd story. Love all of the architectural details you included in the carriage house. Great to hear that you had such a great experience!! Congratulations! Wow, Kelly! This looks incredible! It's been so fun following your design process and now to see it come to a close - amazing!! Thank you for all the pictures of your beautiful carriage house. Great visual to help me see what our renovation (starting in a few weeks) will look similar to. It really came out beautifully! So happy for you guys! Wow! It's gorgeous! And I'm so impressed that the majority of it was built off-site. 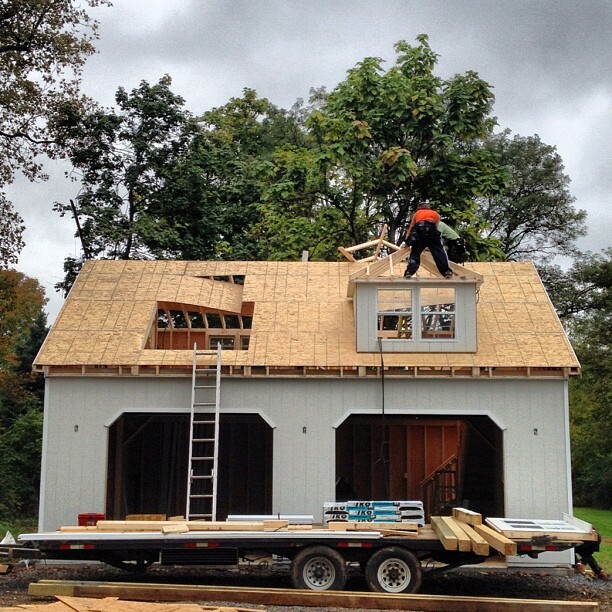 The Amish sure know a thing or two about building. 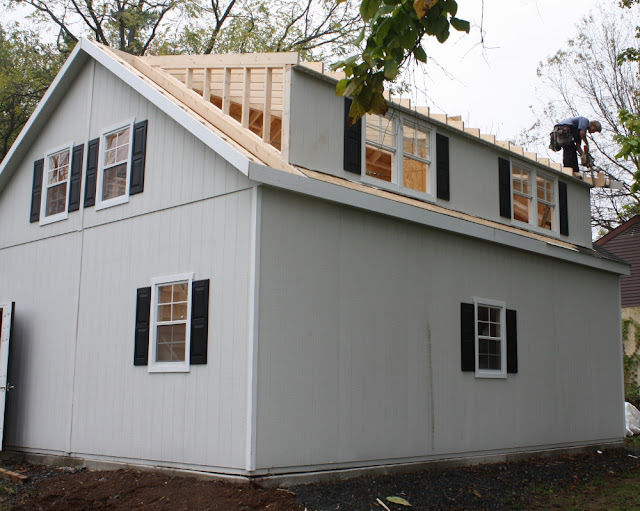 A few questions: does the grey color match your house? I remember it being blue for some reason- maybe that's just the shutters. And have you finished the rest of the stone driveway that you were working on? Please share photos if you have! Love seeing the progress. Wow, love your carriage house. I was born in Chester county, PA and just moved South a year ago. 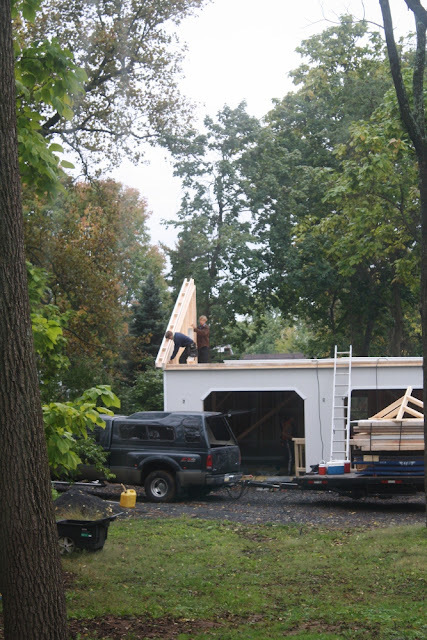 I had the STOLTZFUS family replace a roof for us. 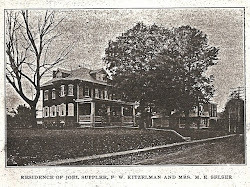 I love Chester County but visit there a lot since family is still there. I am one of your new followers. I love it and can't believe how quickly it was finished. also love your lanterns. This is absolutely gorg! You have to be so extremely happy/excited about the end result! Congrats! 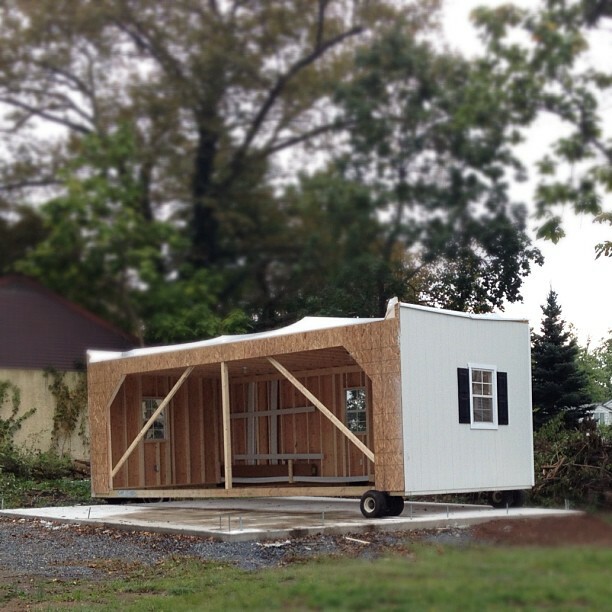 We'll be building one at some point and I've bookmarked this...it looks so great Kelly! Beautiful! 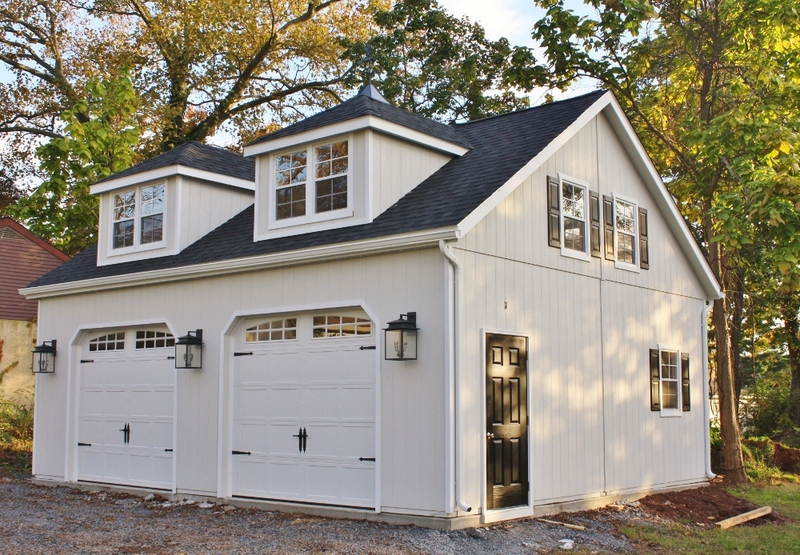 A perfect carriage house! Our first house as newlyweds was a carriage house in the Houston Heights. I have a soft spot for these. Yours is perfect. Semi-new reader but first time commenter. I just wanted to say that this is absolutely gorgeous! I' have those lanterns in mind for our house. They look great! Wow! That was real quick. It didn’t require much manpower and time. And it is great because the structure and lines are pretty consistent. I’m so impressed by the beautiful outcome! 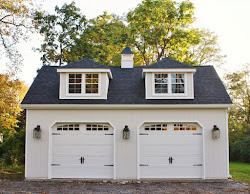 A carriage house, what a brilliant idea! 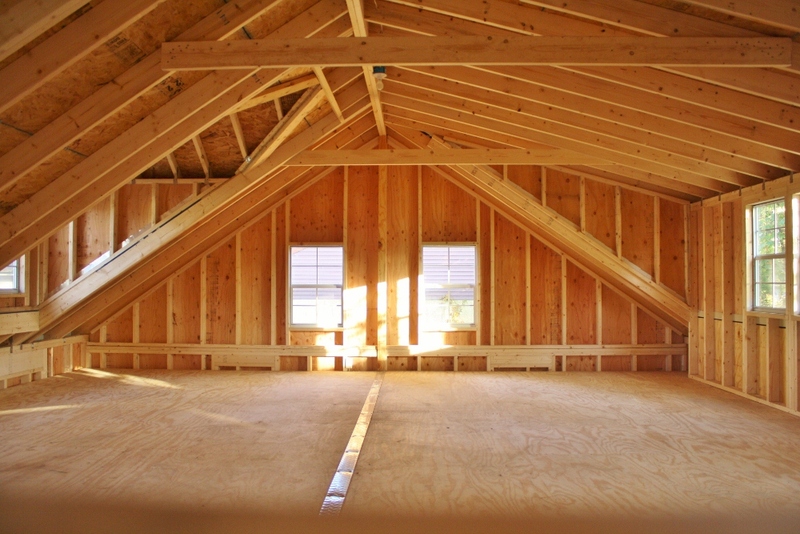 We are planning a very similar carriage house and would love to see the configuration of the stairs and second storey. Thanks. This is SO nice! 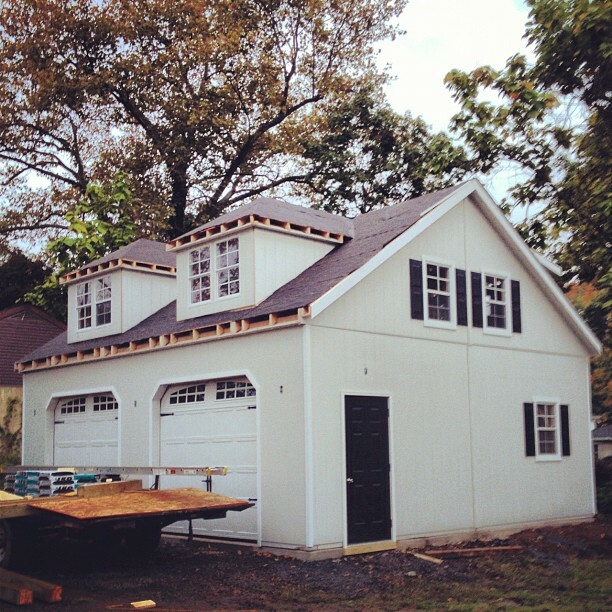 Our home is an 1850's Victorian and we NEED a carriage house. 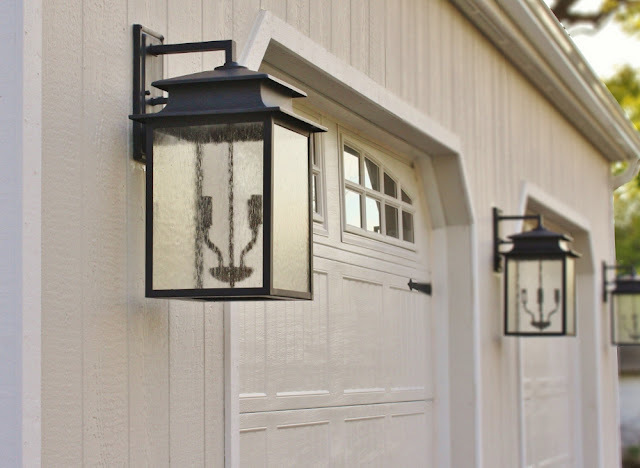 I note that carriage house is colonial but would LOVE to have the kind of experience that you had! 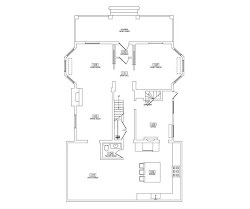 Do you have any floor plans to share? 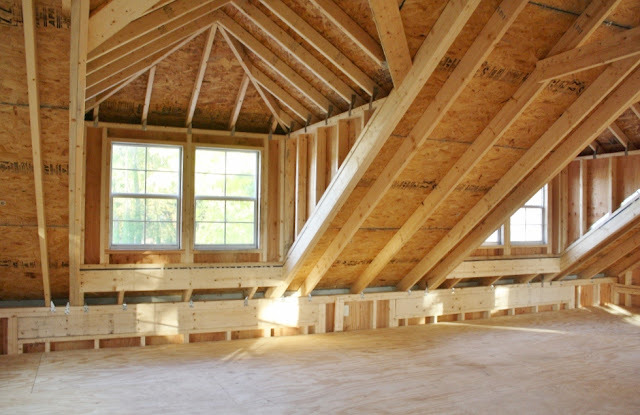 Did you finish the inside of the carriage house yourself? How did you make initial contact with the workers? Did you provide the plans or were there simply "stock" plans in which to choose? Any ideas you can offer would be most appreciated! It is beautiful! 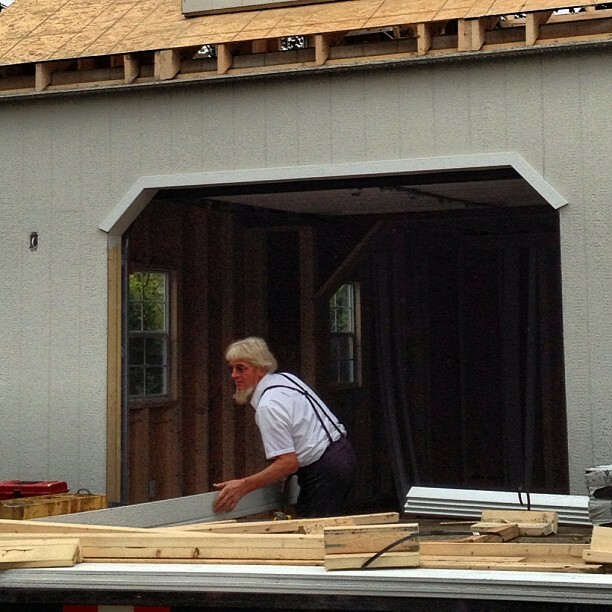 The Amish do really nice work. We just had a new shed delivered recently. They did a fantastic job on it. Adorable carriage house. Do you know the name/brand of the paint color? Adorable carriage house. 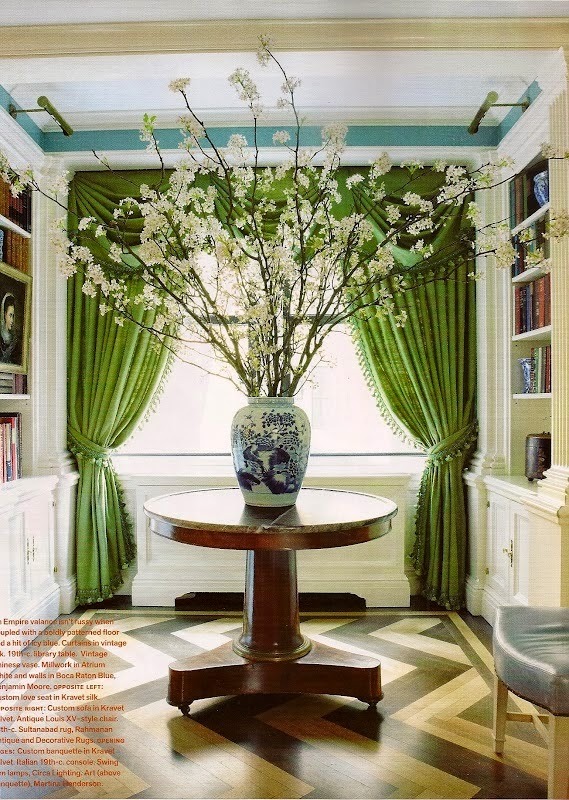 Do you know the brand/name of the paint color?